How can we ever truly describe with words the very first marriage retreat hosted at Point of View Villa & Spa? It was a beautiful mix of morning reflections on marriage and testing out tools to diligently sustain our unions. 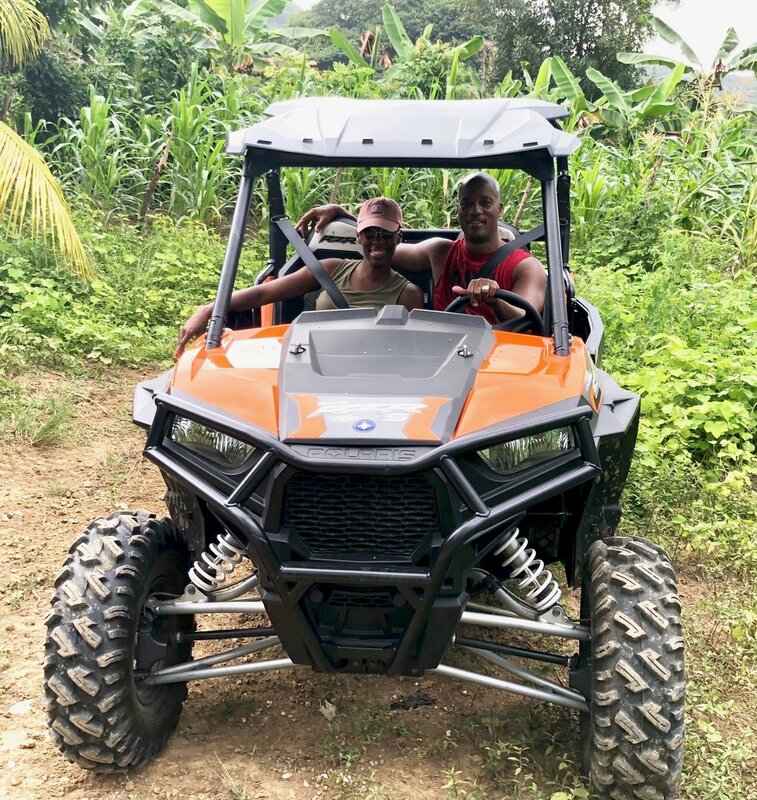 We then took time for several afternoon excursions, including a dune buggy ride through the heart of Jamaica. 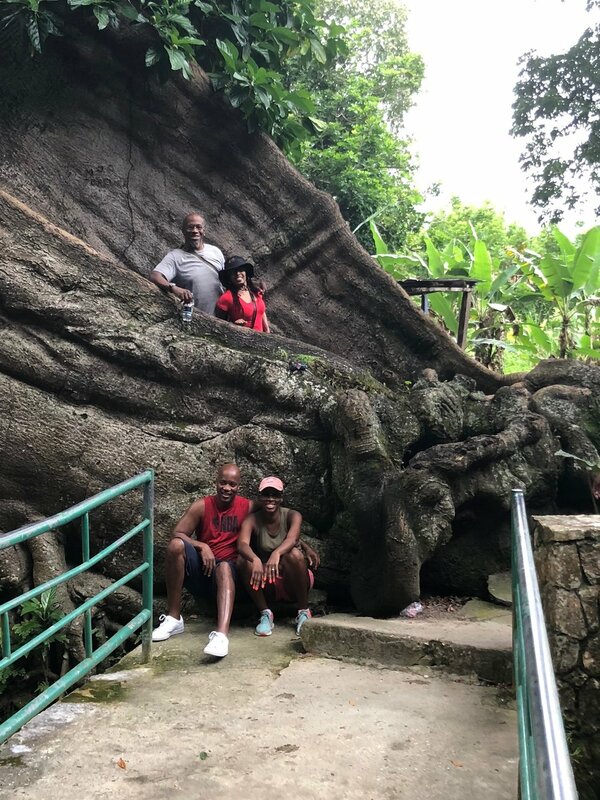 While riding together we encountered tree roots that jutted four feet out of the ground, water so unbelievably clear as it flowed in a labyrinth of rivers and streams, and the prettiest blue holes (google "Blue Holes Jamaica") ranging in color from aqua to sapphire that made us gasp when we saw them. Reggae Sumfest, the largest concert festival in Jamaica, which takes place in July of each year, was in full effect during our stay. We could hear the thumping of reggae music from our villa in the hills, even though the venue was miles away. I asked our crew of 40- and 50-somethings if they wanted to partake. I was met with a resounding "no!" 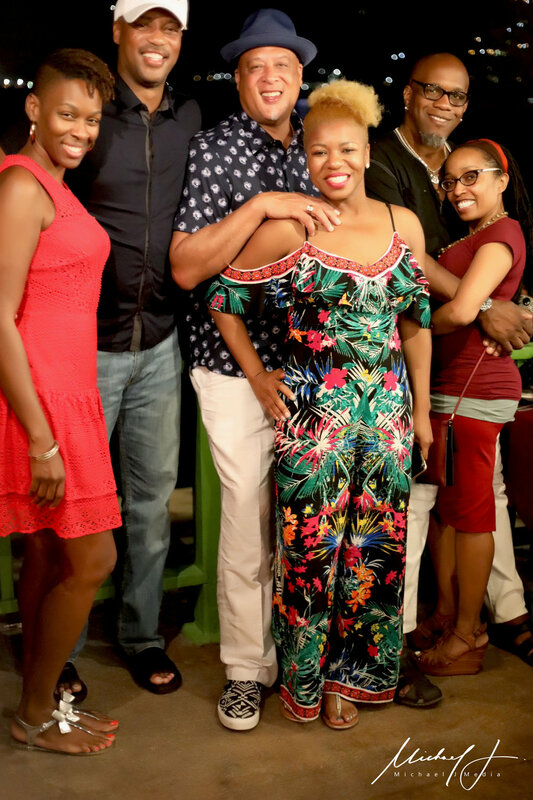 This group of couples was content to drink cocktails on the verandah at night and enjoy each other’s company, letting the Sumfest rhythms pulsate from far away. One night was particularly special. 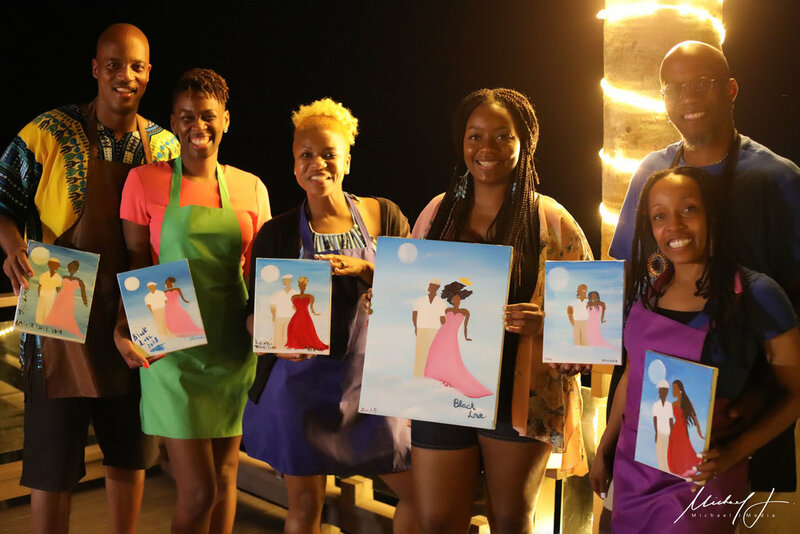 We were treated to a paint and sip experience hosted by Dee’s Tropical Paint Parties. 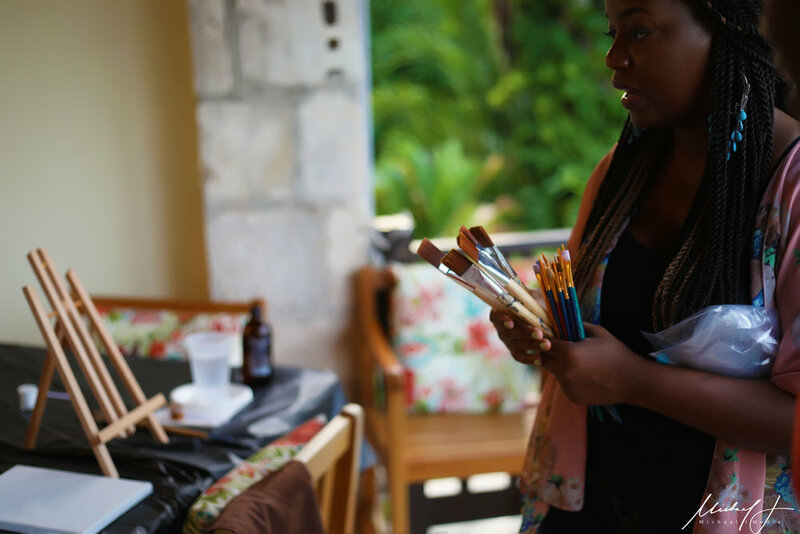 Our host Dee fell in love with Jamaica on a trip to Negril last year and made the bold decision to leave her life in Atlanta and make Jamaica her new home, using her self-taught (she also says God-taught) skills as an artist to bring delight to visitors to the island. 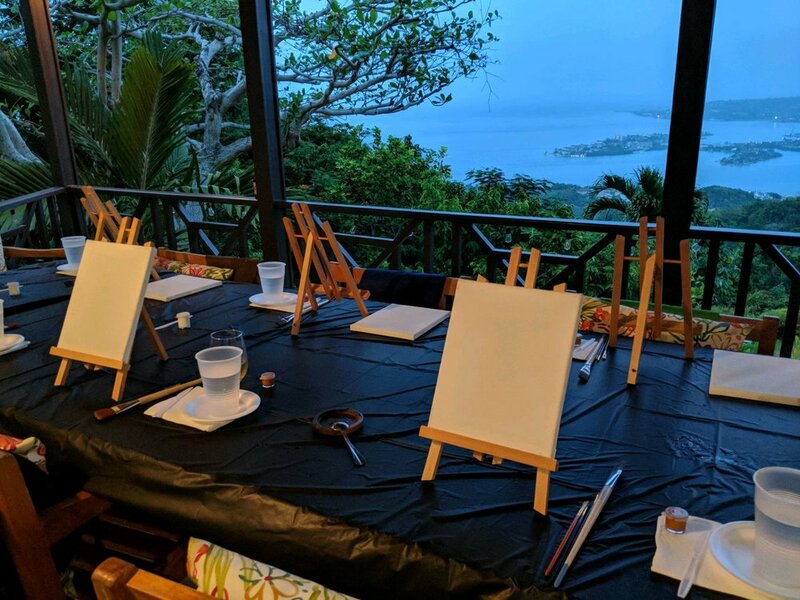 Imagine the six of us with our aprons, easels, canvases, paintbrushes and wine trying to pay attention (none of us are painters!) with thousands of lights in the distance twinkling above Montego Bay. It was magical! Enjoy the pictures below. Check out our current retreat offering--a Creative Vinyasa Flow yoga retreat hosted by D.C.-based instructor Erica Robinson from November 28 - December 3. 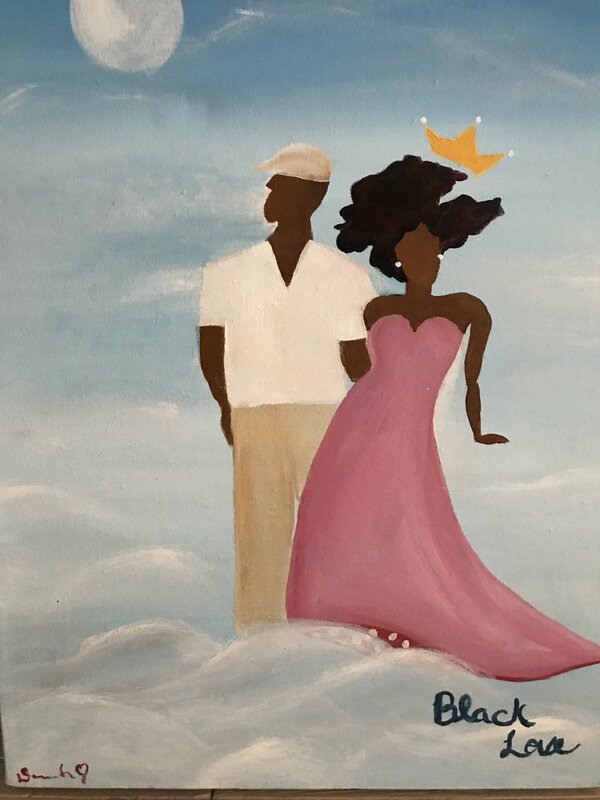 This retreat is open to singles, couples, best friends and squads of all types. For more details, go to www.pointofviewjamaica.com/retreats.